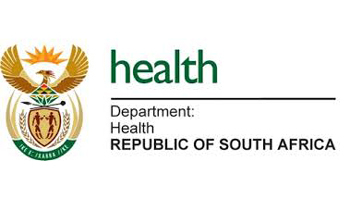 The National Department of Health invites graduates who seek practical work experience and unemployed graduates who are interested in a public service career to apply for internship (an occupationally-based work experience opportunity) in the occupations mentioned below for a minimum of twelve months. The applicants must not have been exposed to work experience in their area of study or have participated in an internship programme in a government department. 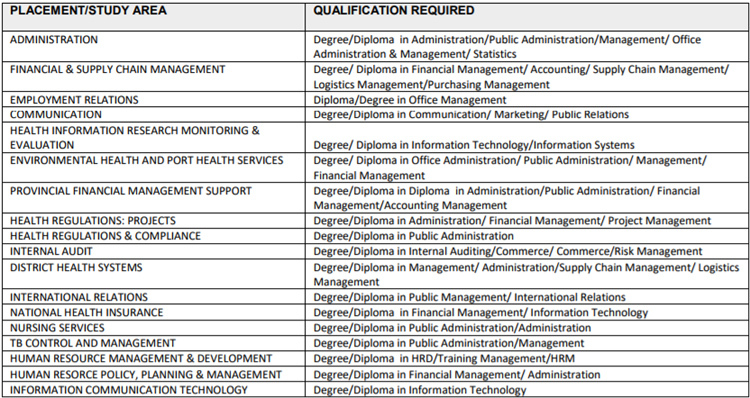 Below is the list of the study areas wherein interns can be accommodated and the relevant qualification required. Applications should be submitted on form Z83 obtainable from any Public Service Department and should be accompanied by a CV and certified copies of qualification certificates and copy of Identity Document. Clearly mark your application, “Internship Programme 2017/2018”, quote the Ref no NDOH 53/2017 and area of placement/study area as your reference number: The Director-General, Department of Health, Private Bag X828, Pretoria. 0001. Hand delivered applications may be submitted at Reception (Application Box), Civitas Building, corner of Struben and Thabo Sehume (formely known as Andries Streets, Pretoria. Place applications in brown box at Security. No faxed or e-mailed applications will be considered. Applications received after the closing date and those that do not comply with the requirements will not be considered. The successful candidate will be subjected to security and other vetting procedures. Applicants are respectfully informed that correspondence will be limited to short-listed candidates only. The Department will not be liable where applicants use incorrect/no reference numbers on their applications. NB: All placement areas are based in Pretoria unless stated otherwise.